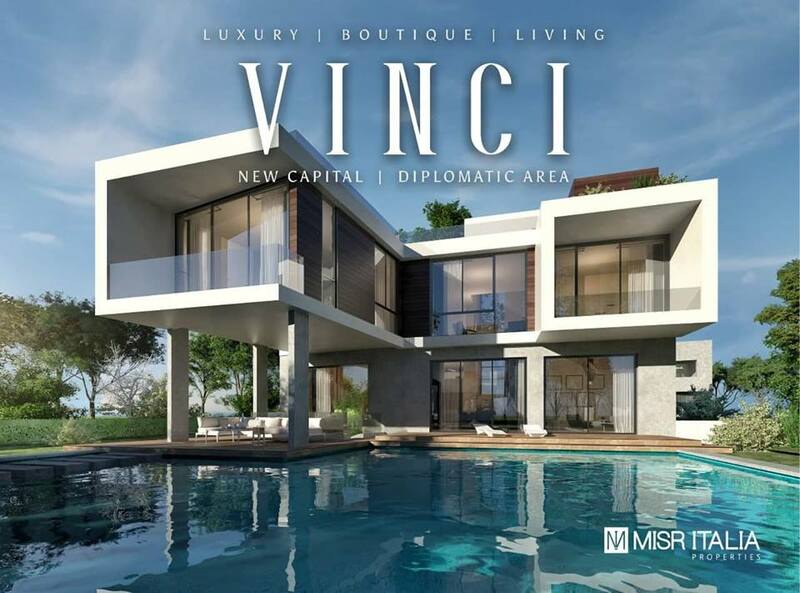 Misr Italia the owner of IL Bosco, the residential, commercial, administrative compound that is located in the new capital, which grabbed people’s attention, released their new project Vinci new capital compound. Vinci new capital compound is characterized by containing numerous services and facilities like green landscapes, water bodies, swimming pools, tracks for running and cycling, gym and spa, social clubs, restaurants, cafes and security that is available all day long. The compound extends over 110 acres divided into 70% for villas, 25% for townhouses and twinhouses and 5% for hotel apartments. The famous interior design architect Hany Saad that is the CEO of Hany Saad Innovation company is in charge of finishing the units in VINCI new capital compound and he is known for depending on the comfortable aesthetic factor that suits all tastes and personalities. You can benefit from the installments on payment for units in VINCI new capital with 10% down payment and installing the rest for 7 to 9 years. Contact Murabahat now to get the unit that fits you in VINCI new capital.